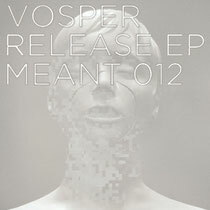 Meant Records, the Parisian label owned by DJ/producer Remain, looks to Canadian duo Vosper for a new single of twisted and emotive electro techno, backed with remixes from Rework & Polar. Vosper is a new project from the Montreal based duo of Edouard Le and Christopher Byron and this is their debut EP. Musically the pair have their roots in the sounds of new wave, alternative and industrial music and are clearly influenced by everyone from early Human League & Nitzer Ebb to Joey Beltram & LFO. Their passion for collecting vintage studio gear has helped shape a very analog sound whilst their fusing of teutonic beats with dark yet engaging melodies has led to a uniquely futuristic feel. The EP kicks off with title track ‘Release’, a brooding and propulsive slice of techno that marries ominous pitch shifted vocals with an array of taught electronic instrumentation. Acidic squelches, bleeps, beats and bass tones interplay to create a hypnotic and haunting atmosphere. The original version is followed by a remix from sometime Playhouse/Output producer Rework who strips back the parts and turns in a spacious yet intense version that is an decent alternative. 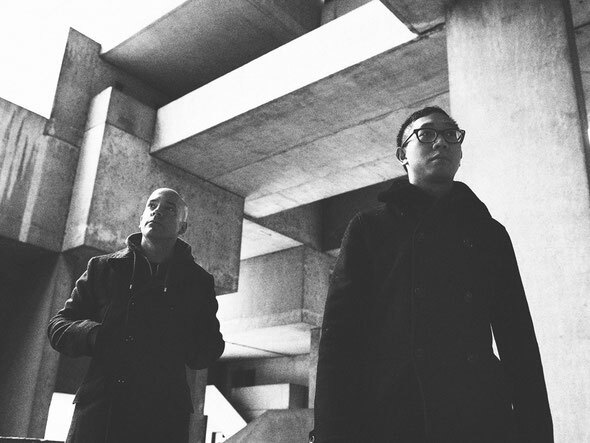 Next up is ‘Hidden Faces’ which journeys further into electro influenced techno with a track driven by analog bass, tight percussion and subtle melodic elements, once again complimented by the duo’s distinctive vocals. The original is accompanied by a remix from Polar AKA DC Salas & Thomas Sari who deliver a house orientated version that lightens things up whilst maintaining plenty of intensity. Finally the release is completed by ‘We Are’, a twisted and cinematic sounding piece of electronica. Out 9th April.